The Toyota Drivers collect their rewards! 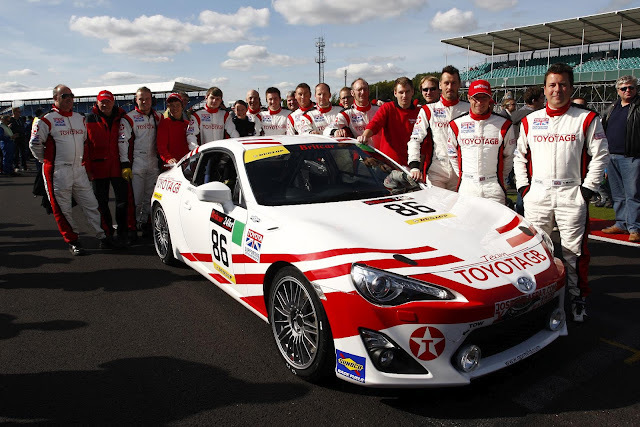 Team Toyota GB is celebrating a remarkable UK racing debut for its GT86 sports car , which claimed eighth place overall and third in its class in Britain’s toughest race, the Britcar 24 Hours on its conclusion Last Sunday at Silverstone. Crewed by a four-man team led by Chris Hodgetts,Toyota’s double BTCC champion of the 1980s, the near standard GT86 ran faultlessly throughout its 512 laps and 1874 miles around the Silverstone Grand Prix circuit. Hodgetts was joined on the driving strength by his son, Stefan, evo journalist Richard Meaden and Travis drummer Neil Primrose. “It is an absolutely fantastic result,” said Gary Blackham, whose team GPRM prepared the car for the event. “We harboured ambitions of finishing in the top 10 and we are more than delighted with eighth overall. Given the differential in horsepower between our car and the other rather more modified racing cars in the division, third in class is a great result also. Thirty-three cars took the start of the Britcar 24 Hours, and the class for modified production cars featured 14 entries, of which 12 made it to the chequered flag. 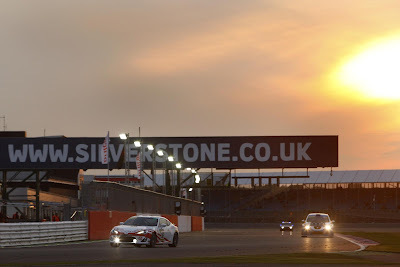 The Britcar Toyota GT86 was powered by the standard 16-valve double overhead cam horizontally opposed ‘boxer’ engine of the road-going model, delivering 197bhp. 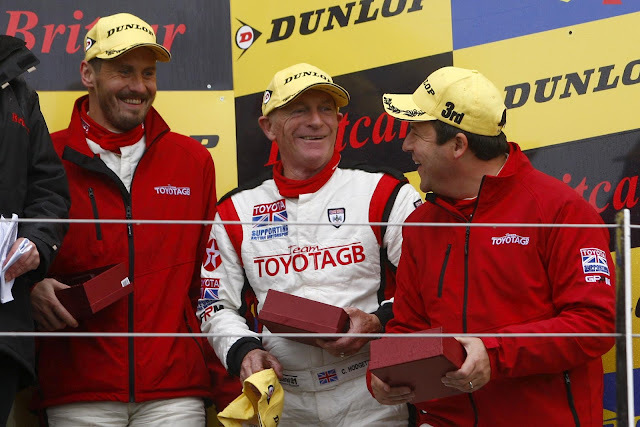 GPRM now plans to develop a more powerful version for customers looking to buy track Toyotas of their own - although there are currently no plans to run the car again this year. 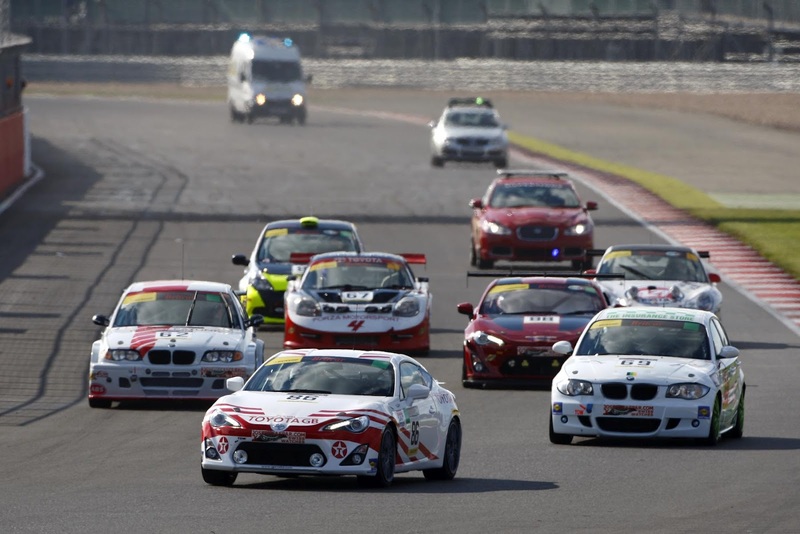 Clio Cup Battle Rocks Rockingham!